A self made business personality who is also Chairman of Greenland Group, the parent organization of Greenland Overseas. As Chairman of Greenland Group he is providing leadership to five more subsidiary companies of the Group besides GLO. As an expert in human resource procurement, Mr. Abdul Hye has made his mark in the manpower export sector of Bangladesh. He has developed a comprehensive recruiting chain which covers selection of workers, their medical test and required skill training in appropriate concerns of Greenland Group. He received a number of awards as recognitions of his contribution to the nation by securing employment for Bangladeshi workers abroad. 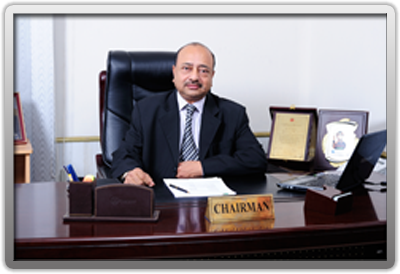 A very successful business personality who has 35 years of overseas experience in human resource procurement. With a higher end education in business management Mr. Warsi has also expertise in real estate sector and hospitality management. Mr. Warsi is a thoroughly professional businessman who combines his business acumen with the market reality to secure the best result from the existing situation. As the Vice Chairman of Greenland Group, he always attaches top most priority in selection of workers who are physically fit in all respects for employment abroad. His dynamic and innovative mind makes the difference in strategic planning in various concerns of Greenland Group including Greenland Overseas He always emphasizes on innovation and value addition. After obtaining his Masters in Business Economics and Computer Science Engineering from University of Texas he earned work experience at managerial level in United States. He has developed expertise in information technology. As M.D of Greenland Group and Greenland Overseas, he is also involved in human resource procurement and earned 5 years of experience in this sector. As Director (Recruitment) of Greenland Overseas Mr. Mofizur Rahman has been leading the organization from the front for over last two decades. His thorough professional approach and brilliant direction Greenland Overseas has been able to carve out a niche for itself in the growing overseas employment sector of the country. His dedicated service to the organization brought him best employee award of the organization. His professional expertize extends beyond manpower sector of travel and tour operation sector as well.